Brief personal history: The son of Harold & Judith Wheeler, both educators, Everett was captain of the debate team at Harrington High School and an international mathematical Olympian silver medalist for the United States. He graduated from high school at the age of 17 and wrote a paper on quasi-perfect numbers for which he won the Westinghouse prize. Wheeler later attended Harvard University where he graduated with honors before attending Shelby Institute of Technology (SIT) as a Rhodes scholar, writing his doctoral thesis on interspace theory and genetic commonalities under the supervision of Dr. William Hart. Hart, realizing he had a superstar in the making took the young doctor under his wing and brought him in to a super secret experiment taking place in Oak Ridge Tennessee. The two would revolutionize genetics with the secret discovery of an alien life form with which the extracts lead to breakthroughs in energy and genetic manipulation. He won the MacArthur fellowship and Time magazine hailed him as the future of science. Success begins to go to Wheeler's head and his partnership with Hart ended. Hart takes his portion of the research to begin experiments in [REDACTED], Wheeler would later lead his own NASA-sanctioned team dedicated to creating genetically altered explorers to travel through a newly discovered pathway through space at a newly designed facility in neighboring Shelby City. The results of these experiments lead to less than desired results (the outbreak of humans becoming kaiju). Burdened by his failure, Wheeler has no choice but to team with his mentor in change the mission statement: from the failed experiments try to create a countermeasure to help clean up the mess, contain the contagion and rebuild anew. Hart, a veteran of damage control due to his success with [REDACTED] decides on a far more measured response that includes some very drastic final solutions. 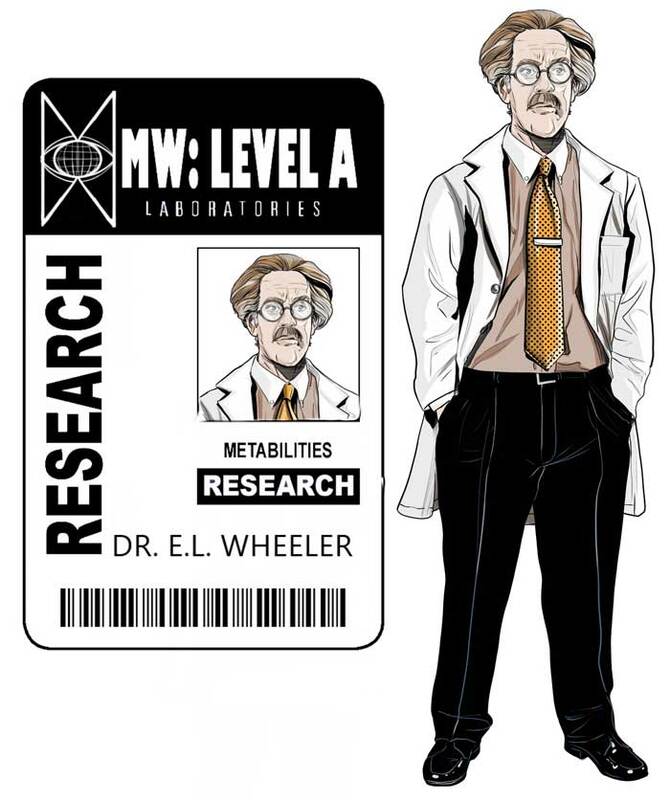 Wheeler, desperate to redeem himself and see through what he is sure to be the verge of his breakthrough, goes outside of the experiment's control group to create his own countermeasure. He succeeds, but not in the way that he planned.